DAYORIS is a custom interior door and custom furnishings manufacturer in Miramar, Florida specializing in modern and contemporary design. As a leader in customization and refacing in the Miami and South Florida area, we have been widely recognized for our patented process, The Laminating Solution™. Our detailed craftsmanship is complemented with our use of premium Italian laminates and colors in wood veneer, high-gloss and matte facings. We contribute to the preservation of the environment by using LEED-certified green products and eco-friendly materials that have minimal impact. Come and visit our showroom or schedule an appointment for an in-home or office consultation and be a part of the DAYORIS experience. Green Oxen is an architectural solutions company providing an array of American made aluminum products that fuse function with modern design. We not only build and install your furniture; we also offer you the experience of our team to help you design the ideal space for you. Incorporate your unique taste into the decor of your home with a custom design. GAM Woodwork's team work will take your ideas and turn them into reality. We provide a full-service solution to your residential or commercial carpentry needs. We have the knowledge and creativity to ensure that your project achieves the highest level of innovation and craftsmanship. We use the latest materials and techniques along with a team of dedicated workers to ensure you are happy every step of the way. Exceeding the status quo is what we do best. From modern designs to high-end finishing details, we are consistently pushing ourselves to ensure that we offer the best solution possible to fit your specific needs and budget. 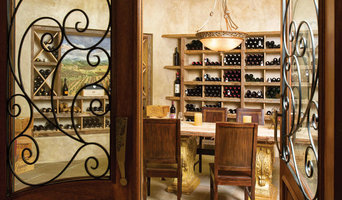 Established in 2002, DSA Master Crafted Doors inspires homeowners, designers, and builders. Our doors are crafted by skilled artisans in our 51,000 square foot manufacturing facility. Abv Wood and Designs Corp.
With 15 years of manufacturing experience, Abv can make your dreams come true. Each piece, whether it is your kitchen, bath, entertainment center, closet, or just about anything else you can dream of, it will be custom manufactured especially for you with the highest quality and care. We work directly with customers and designers in an open, honest, and positive fashion. We listen to the customer's needs and will make suggestions to help refine the ultimate goal of a beautiful and functional project. The testimonials from our customers are our best advertising and our delivery and installations are on time, every time. 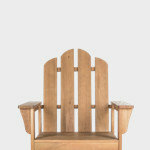 RCS WoodCrafters manufactures, finishes, and installs quality wood furnishings for your home, office or yacht. 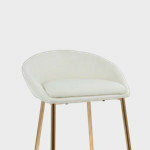 Each piece is elegantly exclusive, comfortable, and functional. With over 20 years of experience, Billy Pike, the founder of Paris Furnishings Inc., designs and builds high-end custom furniture and cabinetry. 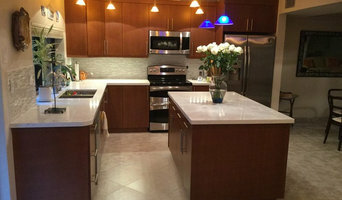 Since 1996, we have specialized in residential homes in the South Florida area. We strive to use environmentally friendly and green building products, sourced within the US. Paris Furnishings, Inc. focuses on low-VOC, formaldahyde-free products that meet sustainability and LEED building standards. We also design and build eco-friendly lighting fixtures. With Paris Furnishings, Inc. you get a complete design and build experience. Custom Designs for the Budget Conscious Residential and Commercial. Serving Aventura and Greater Miami for more than a decade. 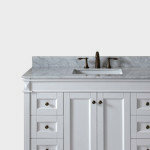 Madison Millwork & Cabinet Co. Here at Madison Millwork, our craftsmen have over 300 years of experience combined. We take pride in our work with an unmatched level of quality, which is delivered with integrity, honesty, and distinction. We often work with top designers, builders, developers, and home owners, time and time again, as the level of our work speaks for itself. All over the South Florida area, ranging from the Palm Beaches to Miami and as far south as The Keys, our clients are our best advertisers, referring us to their friends and family repeatedly. Established in 1997 in the hopes of helping discerning clients exceed their goals, we have been successful in creating functional and beautiful places for cooking, living, and entertaining. 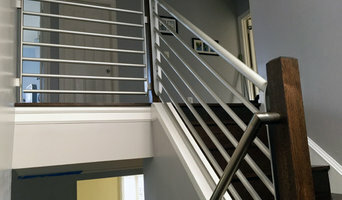 Whether it be for residential or commercial spaces, we offer personalized service with exceptional attention to detail to fulfill our client's visions, from designing and 3D drafting to custom color selections and sample matching to unique or seemingly difficult installations. Our commitment to innovative design and superior craftsmanship has proven essential to our success. Whatever you can dream of, in wood, we can build it! DAYORIS is a custom interior door and custom furnishings manufacturer in Miramar, Florida specializing in modern and contemporary design. Come and visit our showroom or schedule an appointment! Impact Precious Wood, Inc. is a high-end Manufacturer of Mahogany & Cedar Doors and Windows. We Specialize in Exterior doors designed to withstand the severe hurricane conditions that have hit Florida during the years. We manufacture in Colombia with quality selected Mahogany and Cedar Wood from certified affiliates of the Forest Stewardship Council, a non-profit organization that promotes the responsible management of the world’s forests. This is due to the growing concern of deforestation World wide. Established in 2000 in the United States, Impact Precious Wood, Inc. is quickly approaching its decade mark of proficiency and customer satisfaction. However, this is not were our real pride and honor is, our pride is on our Artisans who have 50+ years of combined experience in Mahogany, Cedar, and Oak Wood furnishings and our honor is stored in each and every project we are allowed to illustrate our effort and worth. Miami Premiere Custom Cabinets and Countertops - Best of Houzz 2017! With more than 20 years of experience, we are proud of the reputation we’ve earned for high-end, high quality wood products. We are committed to serving you in only the most timely & cordial fashion. 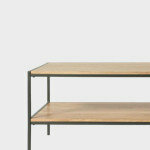 Cubos provides full service woodwork and furniture design and manufacturing. We design your projects in auto-cad as per your specifications and desires, manufacture with the highest quality standards, and provide professional installation. We simplify your project being a one stop shop by providing related project management services, which includes stonework, electric and pluming services. We can also help you with your multi-materials project (metal, plastic, glass). Expert craftsmanship with over 20 years of experience, attention to detail and full commitment to our customers guarantee your satisfaction. We provide service to both residential and commercial customers. Contact us for a free estimate regardless of the size of your project. With 15+ years of experience in general contracting & design, our experienced team of professionals are capable of managing multiple projects at once while not losing sight of superb customer service. Since the beginning, our principle has been to satisfy all our customers needs in terms of custom made cabinetry, from design to installation, we pay great attention to details assuring beauty of design and neat finishes. Borano is the manufacturer of handcrafted, furniture-quality, genuine Mahogany doors, windows, and flooring. We cater to luxury home builders and astute homeowners with discerning tastes. Intricate Concepts of South Florida, Inc. 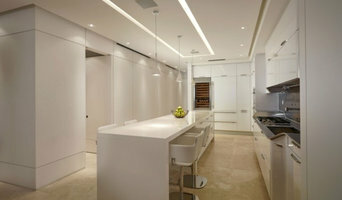 Intricate Concepts of South Florida Inc., is a family owned custom cabinetry and millwork shop. We have been providing custom kitchens, bathroom vanities, entertainment centers, bars, closets, and all millwork needs to all of South Florida for the past 25 years. Our reward is your complete satisfaction, every time! 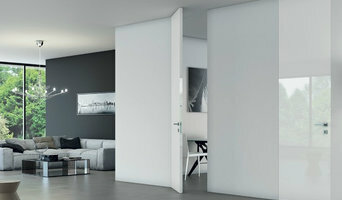 At ITALdoors, our belief is that a door is not just a separation between rooms, rather a significant element of the interior that brings beauty and functionality to your home. Jeffrey Aaron, Inc. is a collaborated General Contracting team led by Jeffrey Russell and Aaron Coen serving central Florida. Jeffrey Aaron specializes in a variety of services including interior design, kitchen and bath remodeling, and home consulting. We believe that a person’s home should be a reflection of his or her self, so we take a personal approach to our projects and encourage our clients to be a part of the process. We are a boutique design + build team in Miami, FL, focusing on sustainable & innovative residential and commercial projects. McKenzie Construction: McKenzie Construction is a professional full service general contractor and construction company specializing in luxury residential construction and commercial projects in Miami, Miami Beach and the surrounding region. With a focus on design and the environment, our services are geared toward boutique design + build projects as well as those focusing on sustainable & innovative construction practices. McKenzie Craft: Master Carpenters & Designers at McKenzie Craft, sister company to McKenzie Construction, offer complete design, fabrication, delivery & installation of a wide range of custom furniture, kitchens, cabinetry, wall units, lighting, tables, desks, doors, book shelves & finishes & virtually any architectural specialty product you can imagine. If you can dream it, McKenzie Craft can design it & build it. Our philosophy is one of conscientious team building that supports artisanal creativity and sustainability-minded innovation. We incorporate sustainable and reclaimed materials whenever possible and pride ourselves on delivering eco-conscious, design-driven solutions and products to our clients. Each team member has a passionate attention to detail, which reinforces & amplifies strong camaraderie amongst our skilled artisans and facilitates a smooth, client-driven fabrication process from inception to installation.